Rachel Harrington kicks off series of gigs at The Back Room. An East Yorkshire venue which is known internationally for its intimacy and the finest sound quality has announced three gigs as the curtain comes down on 2018. The Back Room in Cottingham will welcome American country singer-songwriter Rachel Harrington on Sunday 4 November as she makes a return to touring and recording after a six-year break. Hull-based blues outfit Snake Oil Charmers – billed as “an infectious fusion of fun and fabulous musicianship” – will perform on Sunday 25 November and acclaimed folk talent Edwina Hayes will take the tiny stage on Saturday 1 December supported by Back Room favourites the Crash Blossoms. 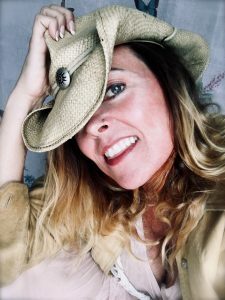 Rachel Harrington has racked up a string of singing and song-writing awards and hit the headlines with her first album, The Bootlegger’s Daughter, which was hailed as one of the best albums of 2007 by music authority Bob Harris. She last toured the UK – and appeared at The Back Room – in 2012 with all-girl band Rachel Harrington and the Knockouts and is now back on the road to promote her new album I Wish I Was In Austin, which pulls together songs by some of her favourite performers. An album of all-new material, Hush The Wild Horses, will follow in 2019. Doors open for all gigs at 7.30pm with a stage time of 8pm. Tickets for Rachel Harrington and Edwina Hayes/Crash Blossoms are £10. For the Snake Oil Charmers it’s £6 in advance and £7 on the door. To book call The Back Room on 01482 847007. Be the first to comment on "Rachel Harrington kicks off series of gigs at The Back Room."